Ionizing radiation causes cancer. Children are especially at risk. One of the most potent sources of ionizing radiation is doctors - specifically the X-rays they order. And X-rays are only a minor source of ionizing radiation compared to CT and PET scans. 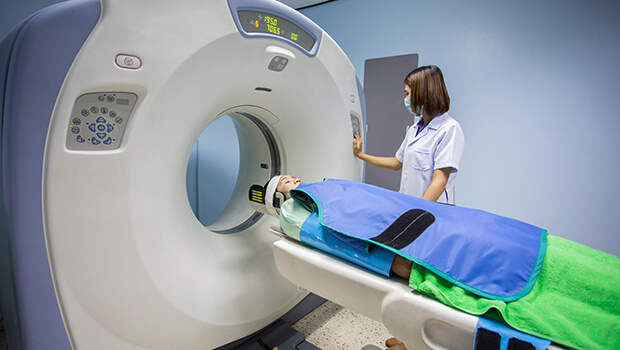 Just one CT scan exposes you to the same amount of ionizing radiation as 70 chest x-rays. And a combined CT/PET scan has almost two times the amount of radiation as a plain CT. And it's not uncommon for me to see patients getting two to four CT/PET scans a year. That's an incredibly high amount of radiation, and is sure to be unsafe. But not to worry. There is a simple, natural substance that you can get that will cancel most of the damaging effects of ionizing radiation. Researchers took blood samples from several men and women. Then they gave them a single dose of 300 mg of melatonin. One and two hours later, they collected a second and third blood specimen. Then they exposed all of the blood specimens to a whopping dose of radiation (150 Gy) that was roughly the equivalent of 1,000 CT scans. After they irradiated the blood, they tested the white blood cells to determine the extent of radiation-induced genetic damage. Here's what they found. The lymphocytes in all of the blood samples had a degree of genetic damage from the radiation. But the cells that were taken an hour after the melatonin dosing had significantly less genetic damage. And the ones taken at the two hour mark had the least damage. The authors concluded that the data had important implications for the protection of our immune cells from the genetic damage induced by ionizing radiation. So, what does this mean for you? It means that if your doctor ever tells you that you need a CT scan or CT/PET scan, be sure to take 300 mg of melatonin about two hours before the procedure. 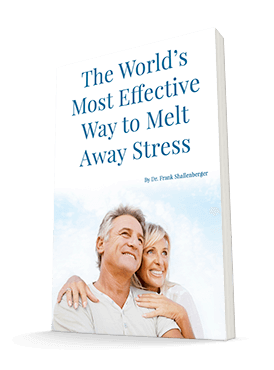 You will basically eliminate any negative effects of the ionizing radiation. As you probably know by now, I am a big fan of melatonin. Melatonin is known for its effect on sleep and circadian rhythms, but there's so much more to this amazingly safe and powerful molecule. Even though for 50 years, scientists have been trying to find a toxic or dangerous dose of melatonin, they can't find one. It's as safe as water. And there is none of the negative feedback inhibition that would cause your body to make less of it because you are taking it. This is true even at very high doses. The melatonin I prescribe to my patients is called Melatonin Max. You can get it at www.perfectvitaminproducts.com. At 60 mg per capsule, it's the most powerful melatonin on the market. Vijayalaxmi, Reiter RJ, et al. Mutat Res. 1996 Dec 20;371(3-4):221-8. Melatonin and radioprotection from genetic damage: in vivo/in vitro studies with human volunteers.